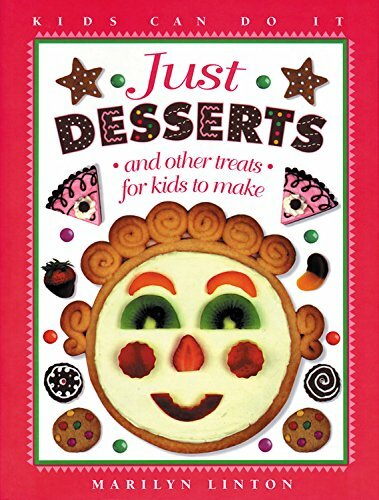 This book is all about making desserts -- yummy chocolate chewies, dreamy lemon angel pie, fruity shakes, peanut-butter candy cheesecake and much more. This book in the Kids Can Do It series is also about baking. Easy-to-follow recipes show kids how to pat pastry into a flaky pie crust, beat egg whites until they stand in stiff peaks and make muffins that are puffed and golden. A glossary explains cooking terms, and handy microwave oven tips show how to adapt recipes for partial or complete cooking in a microwave oven.